I finished several UFO tops. Yea!!!! And I have quilted 2 of them. 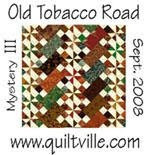 One was a t-shirt quilt for a customer. I hope the grad loves it. Her mom sure did. Next was a disappearing 9-patch. It is quilted and I will try to get a picture soon. Then came a kids quilt that I started at the state fair when doing demos back in Oct., still needs quilting. 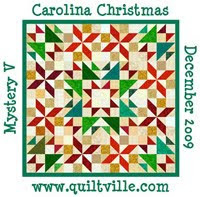 Will wait until I have several kids quilts and do all at once. I like to sew the backings together to load on the longarm. Then only one load for several small quilts. Finished my QSC retreat quilt top. 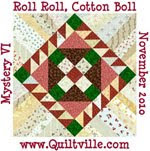 Will quilt it next, may load tomorrow. Need to come up with a backing. The other think we all worked on was bags for The Lydia Project. Check it out at http://www.thelydiaproject.org/ They give chemo bags to cancer patients. You can have one sent to a friend in need. I made 5 bags and total I think we made over 33 bags. That was great work. I even had some more bag kits sent to me to make. Sorry no pic this time, will try to do better.